So we are nearing the end of June and mine and Daddy Hazelden's holidays seems a long forgotten memory already!! This week the house hunting has continued, we've managed to view two houses and we have applied to get on the councils housing list, fingers crossed something works out soon. Enough by my week, on to this weeks Project 365 …. 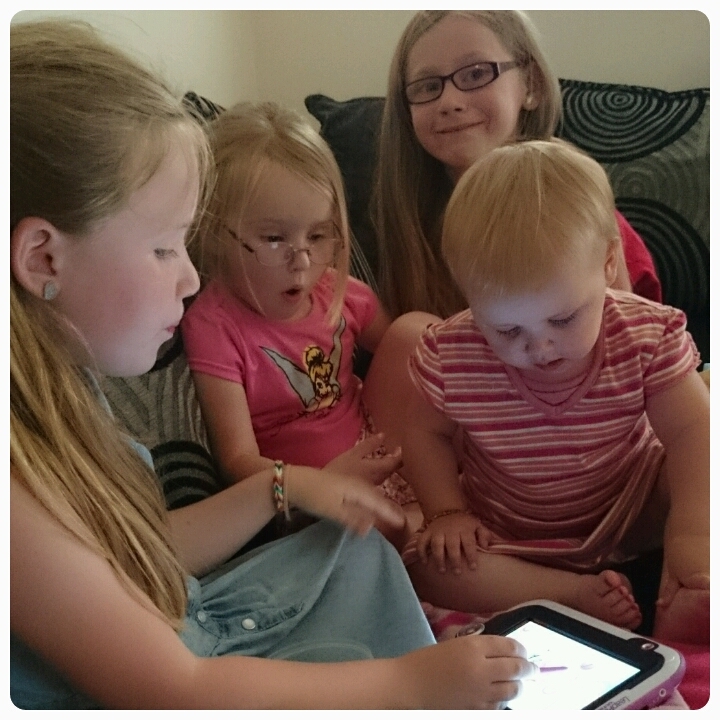 Daddy Hazelden and I arrived home at 2.30am and I was eager to go and collect my girls. 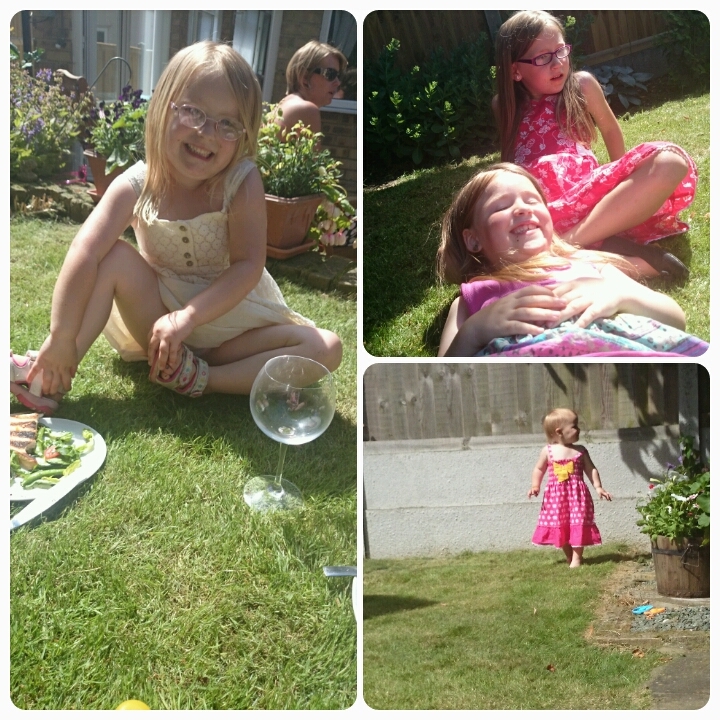 Luckily Grandad provided us with a scrummy BBQ in the sunshine so I didn't need to worry about cooking. 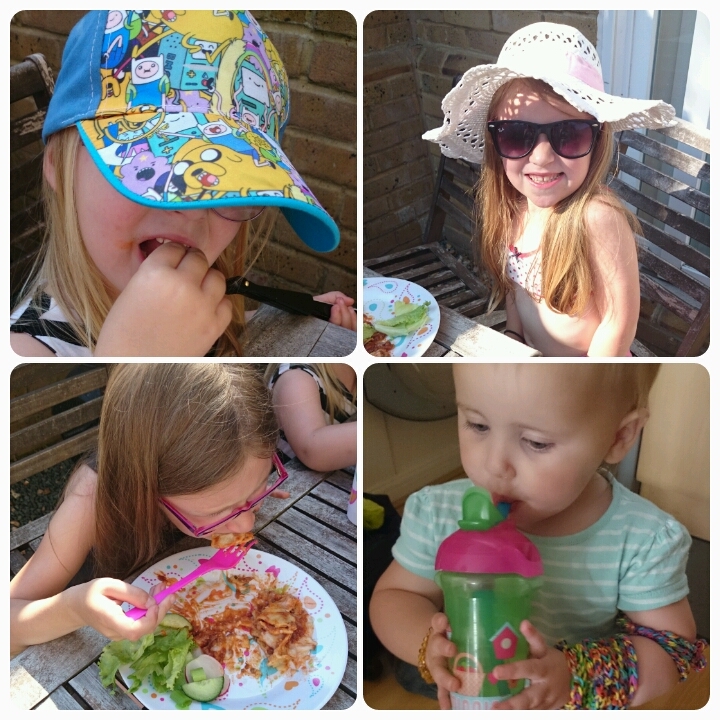 Nice weather of course means eating dinner outside and Layla was seeing just how many loom bracelets she could get on one arm, record maybe? A rare moment of all kids getting along and quietly at that. 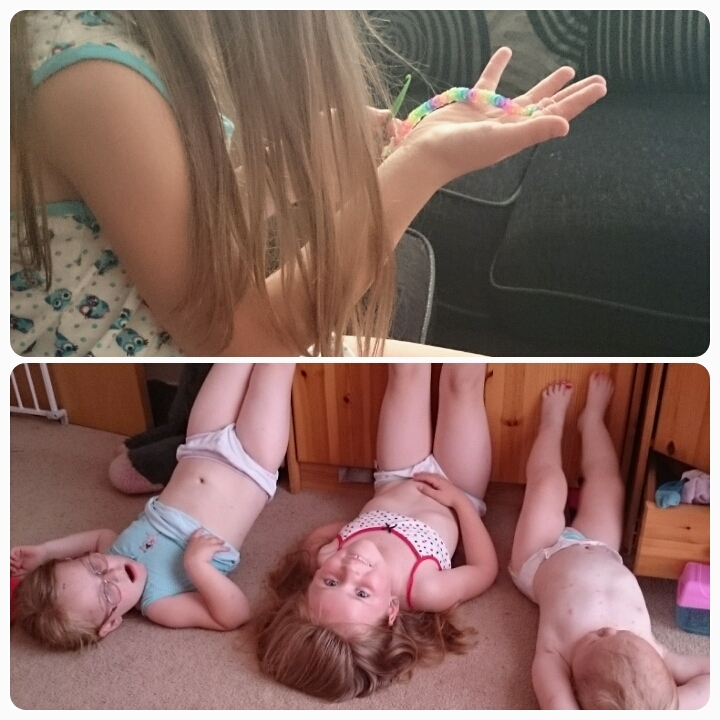 Elise is rarely seen these days without loom bands in her possession and the others were having a funny 5 minutes before bed time. 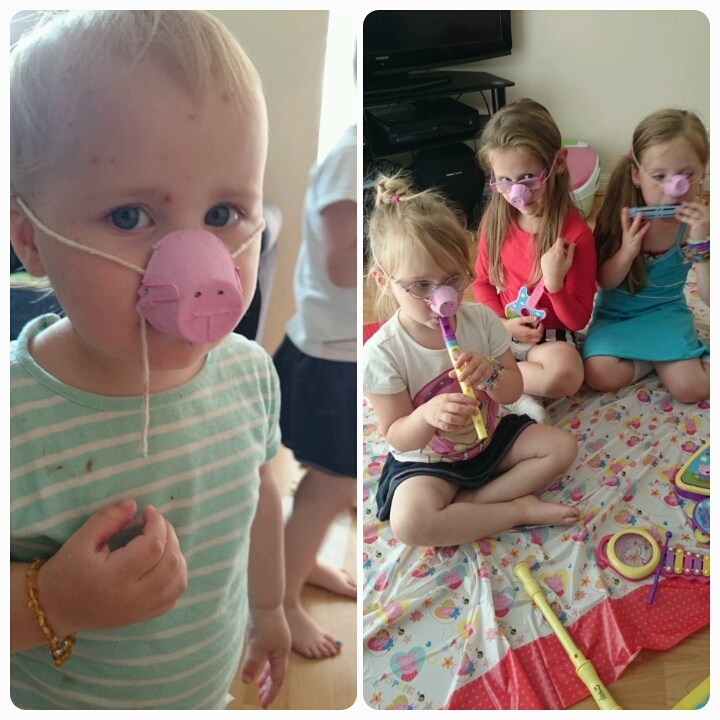 The girls were starting to celebrate 10 years of Peppa Pig, you can see my post here. What do you think of my 4 little pigs? 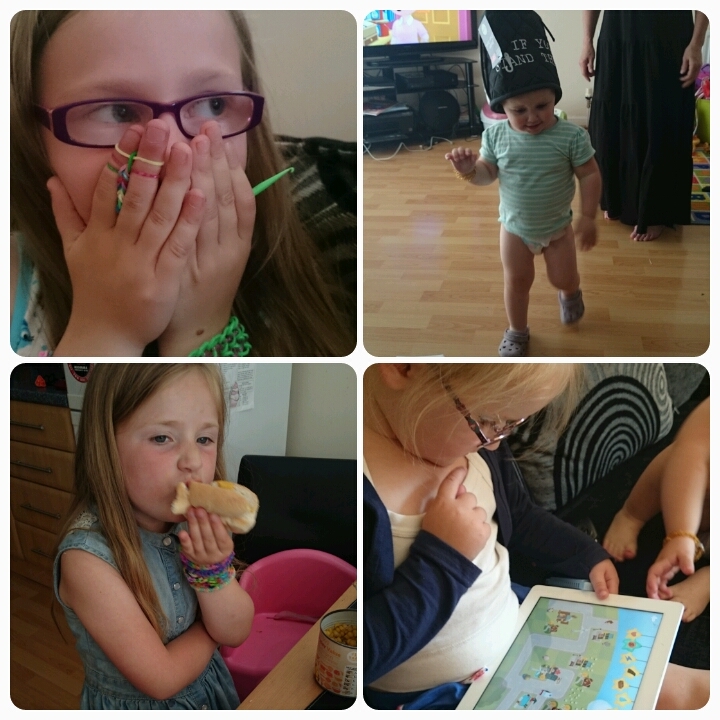 A mixed bag today, the kids were having a day where they didn't really want mummy taking photos but I couldn't miss a day could I. It's a good morning to play with dolls. Lovely photos as ever. Wow, 10 years of Peppa Pig! I love Peppa Pig and miss it now my daughter is too old for it! 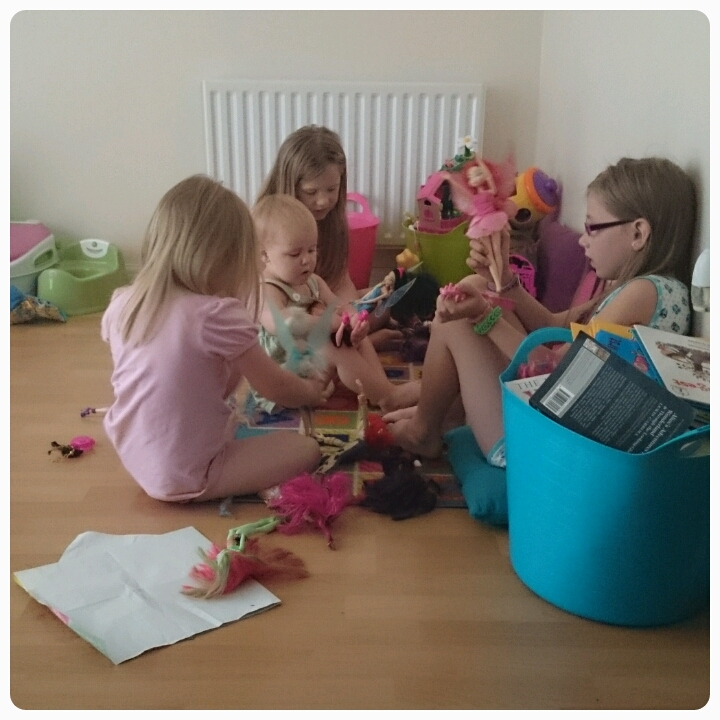 we're a bit loom crazy in our house too at the moment. oink oink, looks like fun. Laughed at you saying playing nice together for a change, yet a lot of your pics are off them doing things together, maybe we just remember the bickering more than the getting on? I always love your group photos, as the youngest of four children I know how much they mean to me now and despite them not wanting you to take them occasionally (I love the annoyed look on that one day), they'll thank you for it. Love the piggy noses!